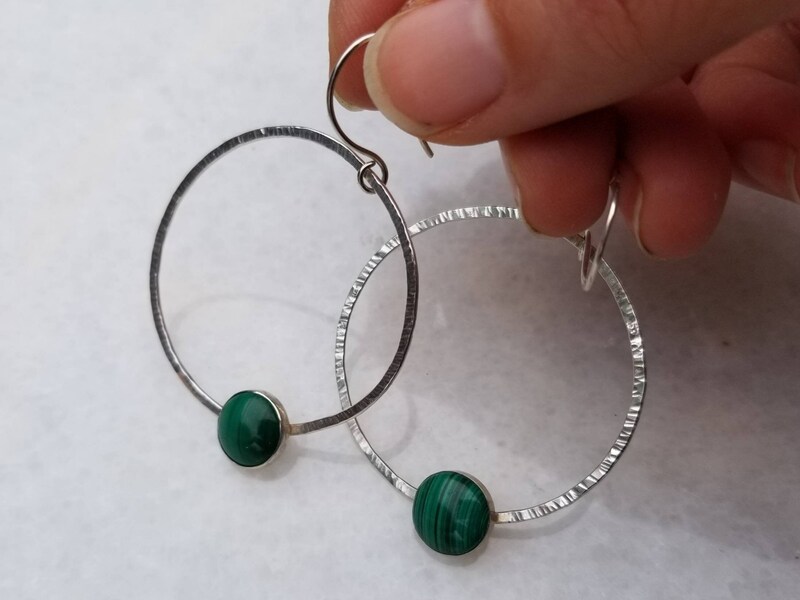 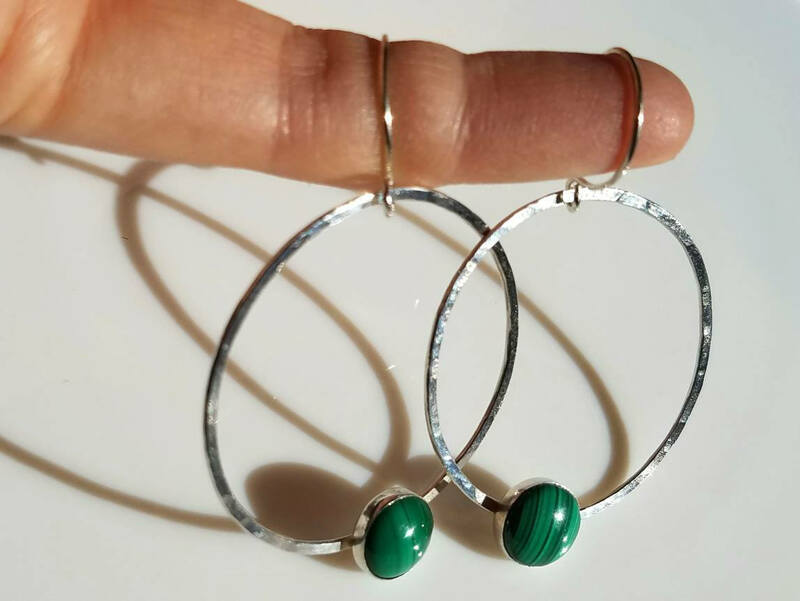 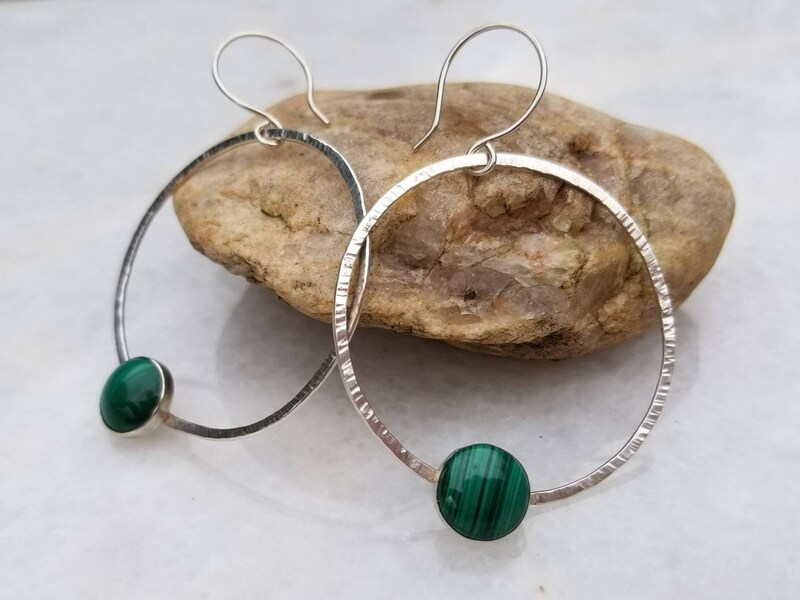 I forged these lightweight hoops out of sterling silver, gave them a subtle hammered texture, and set them with vibrant forest green malachites. 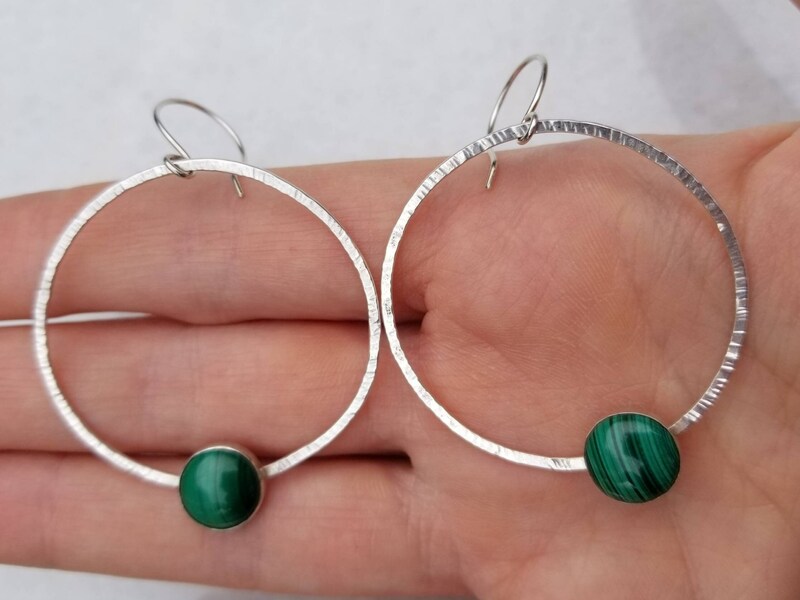 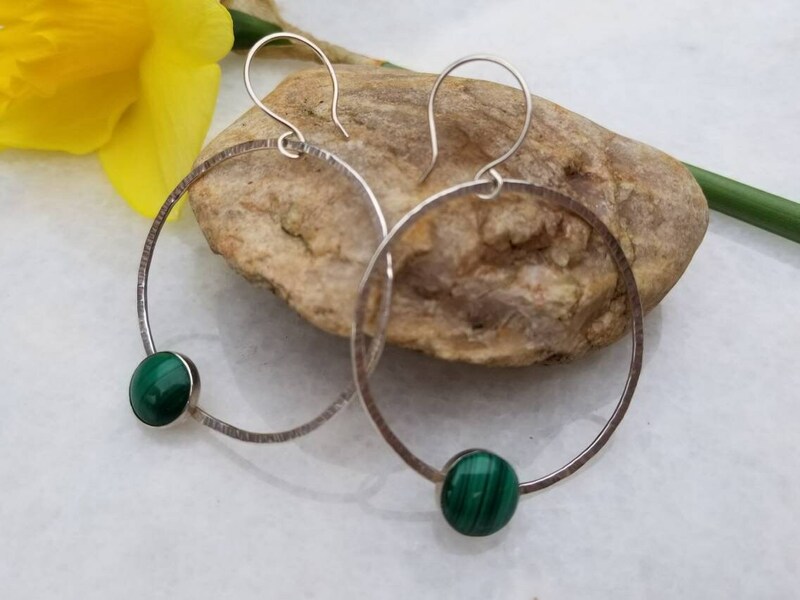 The hoops measure approximately 4cm (1.75 inches) in diameter, the malachites are 10mm. 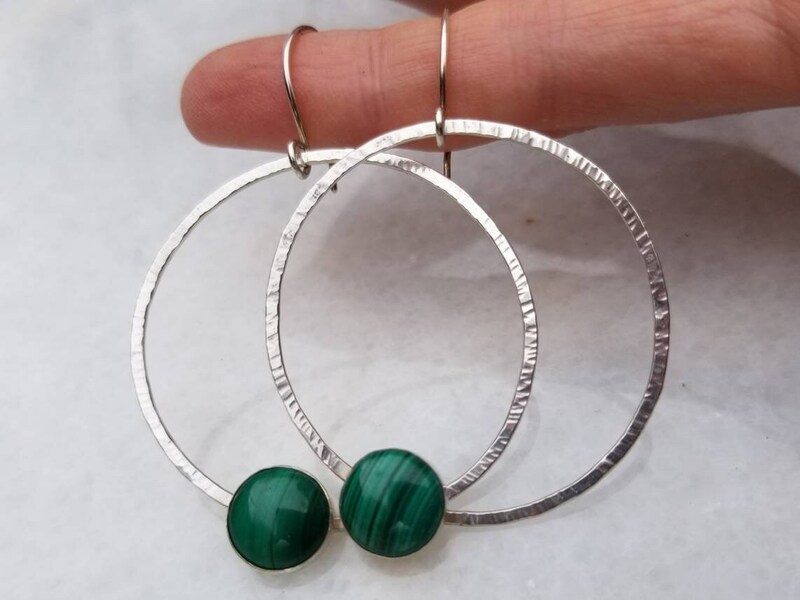 They hang on hand made sterling silver ear wires.